While movement of personnel in the small world of performing arts institutions is common enough, the announced departures of two major figures from Lincoln Center’s campus on the same day has hit the classical music community in New York and across the country especially hard. The Metropolitan Opera announced last week that its longtime music director, James Levine, would retire at the end of the season due to health reasons. This announcement appeared hours after the New York Times broke the news that Lincoln Center’s president, Jeb Bernstein, would be resigning from his post after just two years in the position. What is the context behind these two momentous shifts? 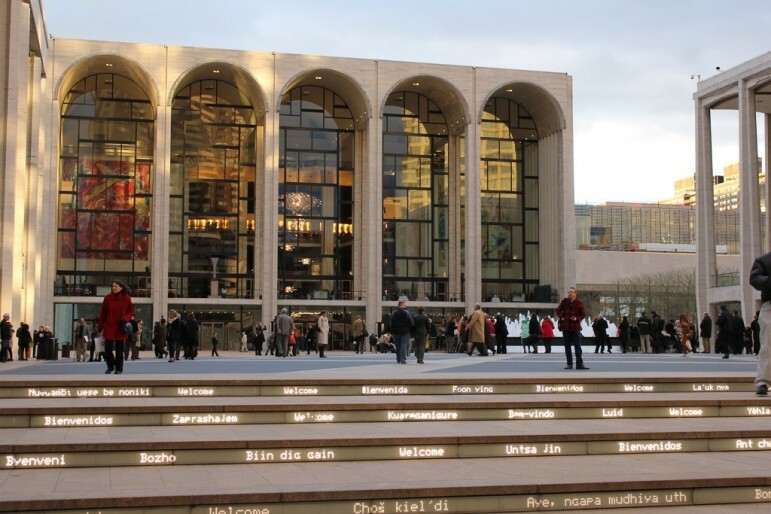 What will this change spell for the Lincoln Center campus and for New York City arts institutions on a larger scale? Maestro Levine, who has conducted the Met since 1976, will assume the new position of Music Director Emeritus next season. According to the Met’s official press release, Levine will remain as the artistic leader of the Met’s Lindemann Young Artist Development Program and will continue to conduct some performances. Thursday’s announcement came at the end of a long road of illness for Maestro Levine, who has struggled with the progression of Parkinson’s disease, as well as kidney cancer and a spinal injury that left him partially paralyzed. As of right now, a replacement has not yet been identified for Maestro Levine. John Fisher, the company’s director of music administration, has been promoted to the role of Assistant General Manager, Music Administration. Mr. Fisher will immediately begin overseeing the company’s staff conductors, rehearsal pianists and prompters, coaching principal singers, and working with Maestro Levine and the conductors for each Met performance to maintain the company’s musical quality. Over his tenure, Maestro Levine conducted more than 2,500 performances of no fewer than eighty-five distinct operas, breaking the record of any previous conductor in Metropolitan Opera history. It will be difficult to imagine the Met Opera without Levine at the helm. “For more than four decades, the Met has been my artistic home, and I am tremendously proud of all we have been able to achieve together as a company,” Levine shared in a statement to Met orchestra and chorus on Thursday afternoon. Meanwhile, as Levine begins a new phase of artistic direction as emeritus music director with the Met, shifting will occur elsewhere on Lincoln Center’s campus as Jed Bernstein announced the surprising news that he would step down as president at the end of this week. Mr. Bernstein, who led the Broadway League for over a decade, produced Broadway shows, and helped to establish the Bucks County Playhouse, cited the desire to “become involved again in creating and producing activities” as the primary reason for his self-motivated resignation.